and shred it finely. Cut the tops off the peppers and keep them aside. a cooking pan and saute the onions in it, until they look brown. mint and some water and let them simmer for approximately one hour. 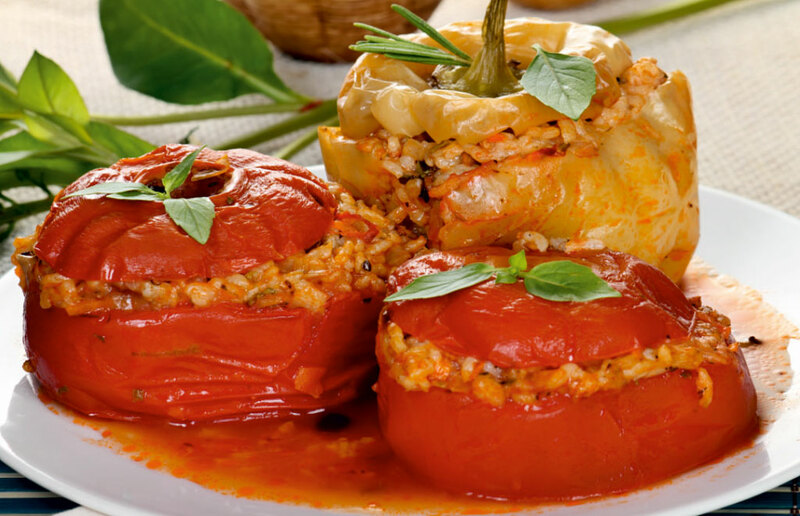 between the stuffed tomatoes and peppers with slices of potato. Bake it in a medium oven for approximately 40-45 minutes.